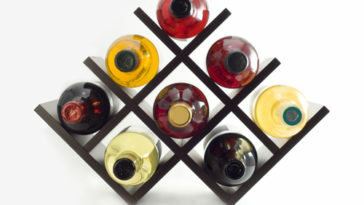 If you’re a wine enthusiast, or if you entertain frequently, a wine glass rack can streamline your at-home experience. These racks hold your wine glasses, so you can access them quickly when you’re ready to pour. They also keep your stemware safe — an important consideration when you’re building a collection of glasses. When you go to buy a wine glass rack, you’re faced with a wide variety of options. Each one is designed to fit a different space. If you want to hang wine glasses underneath a cabinet, you can choose self-install models that screw into the wood. 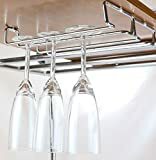 Prefer to install a hanging wine glass rack above your kitchen island or home bar? You can also buy ceiling-mounted models. For smaller spaces, it’s even possible to buy freestanding wine glass racks. 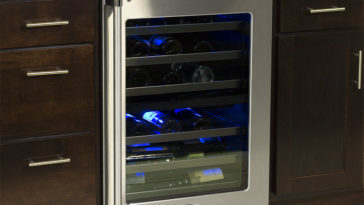 The wine glass rack you choose can have a big impact on your wine-drinking experience. By picking a model that fits your space and the way you want to serve wine, you can get the best possible results. 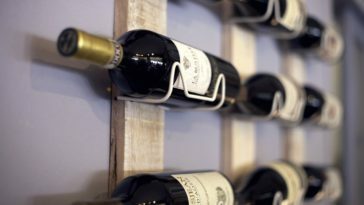 Mount type: This is one of the most important things to consider when you’re buying a wine glass rack. If you have the freedom to modify your home, you can opt for a screw-in mount. These models are easy to install under a bar or cabinet using a few screws and a drill. 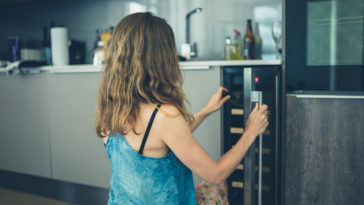 As long as you connect them to sturdy posts in your cabinets or bar, they provide plenty of support for your wine glasses. The same goes for a hanging wine glass rack, which usually mounts to your ceiling or to a beam. Can’t make modifications to your home? Look for a wine glass rack that stands on a counter, table, or bar. They’re easy to install, and you can put them in virtually any convenient location. 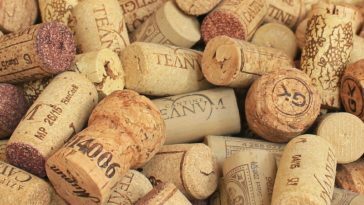 Material: Usually, wine glass racks are made from wood or metal; these materials are tough and strong, so they can support your glasses safely. As you look at different models, look at the surface that comes into contact with the base of your glasses. If it’s wood, is it sanded and shaped so it won’t cause scratches? The same goes for metal — make sure that the bars of the rack are rounded and smooth to protect your glassware. 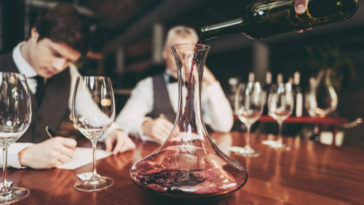 Size and Capacity: Most wine glass racks hold a specific number of glasses; this capacity may change based on the size of your wine glasses. 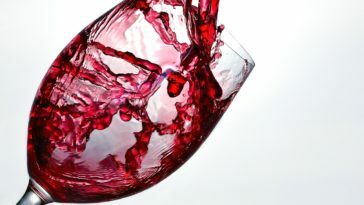 Traditional red wine glasses, for example, will take up more space than smaller white wine glasses. Be sure to take note of the length of each segment to figure out how many you’ll need to accommodate your wine glass collection. 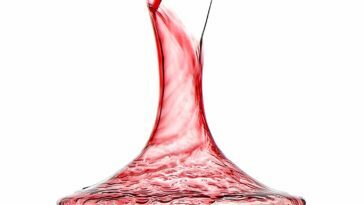 Whether you’re new to wine or you’re an experienced enthusiast, the right wine glass rack is a must. To make your search a little easier, we’ve gathered our three top favorite models. If you’re looking to accommodate a large wine glass collection, or if you simply want some flexibility in setup, this DecoBros holder is a versatile option. This pack comes with two individual wine rails; use one set to hold a small glass collection, or order multiple sets to contain more glasses. 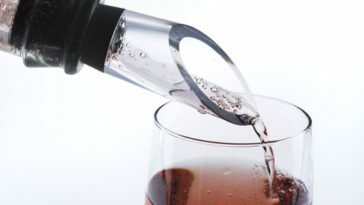 The big advantage of this wine glass holder is its single-rail design. Each rail is designed as a self-contained unit; it features two carefully spaced bars that support the base of your wine glasses. 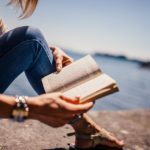 This has multiple benefits for you. First, it means that installation is quick and easy. Simply connect the ends of the rail and enjoy instant holding power — since the rail is one unit, you don’t have to worry about spacing and installing two pieces. Second, since the rails don’t need to be installed as pairs, you can mount them individually or in groups. This gives you the flexibility to work with any available space. It also makes it easy to separate racks by glass type and create the perfect spacing for your collection. These DecoBros racks are made from heavy-duty steel, so they won’t bend or snap under the weight of your glasses. 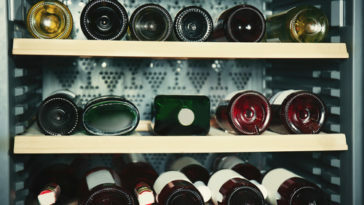 Each 10-inch wine glass rack fits under most kitchen cabinets; alternatively, you can install it under a bar or a shelf. 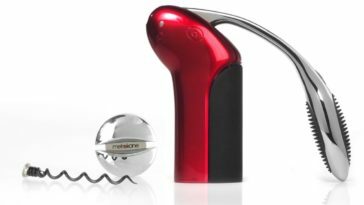 The rounded bars provide plenty of support, all while reducing pressure points on your delicate stemware. Included with this two-pack of wine glass holders, you’ll get a collection of mounting screws in different lengths. This makes it easy to install the racks on materials of varying thicknesses. For thin cabinet bottoms, you can add a washer to the smallest screw size to prevent the screw tips from poking through the bottom shelf. 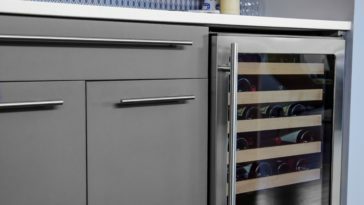 They’re a breeze to install with a power drill, even if you have no experience with construction or wine rack installation. Made by Sturdy Gauge Steel,Fits under most kitchen cabinet. When it comes to convenience, it’s hard to beat this Rustic State glass rack. It comes in a single unit, so you can install it quickly. Simply use screws to mount the rack underneath your kitchen cabinets, on the bottom of a shelf, or even under your open countertop. If you’re new to hanging wine glass storage, this ease of installation can save a considerable amount of time and effort. In fact, in most cases, you can install the wine glass rack in five minutes or less. 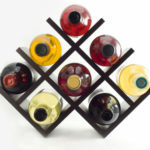 If you have a small wine glass collection, this Rustic State rack can be a great solution. It holds between 6 and 12 glasses, depending on the size. 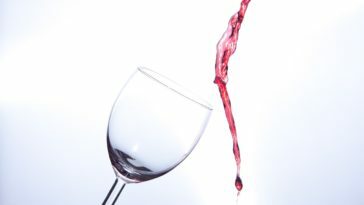 If you have wide red wine glasses, you can expect to store 6; for glasses with smaller diameters, the rack holds more. Have a bigger collection? Simply mount multiple racks next to each other for a streamlined look. Each wine glass rack is only 1 inch high, so it doesn’t add extra bulk. 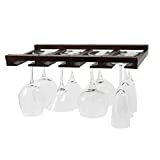 This wine glass rack is built from wood and stained with a chestnut color, so it adds a traditional, rustic look to your kitchen or bar area. The wood is tough yet lightweight; mount it under your cabinets safely. The sturdy wood keeps your glasses safe and secure. Four individual channels in the wood allow you to slide in glasses in seconds. The angled channels minimize contact with the base of each glass, and the smooth surface helps reduce the risk of scratches. This wine glass rack suspends your glasses upside down, which helps protect them from bumps and impacts. In comparison to storing your glasses in a cupboard, this method reduces risk and prevents cracks. 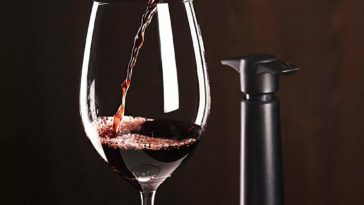 It also helps cut back on dust buildup, so you can serve wine quickly and without extra cleanup. 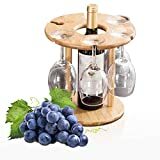 If you’re living in a place with limited space, or if you’re just starting to build a wine glass collection, this luxury holder can be an affordable storage solution. It features a flat round base that stands easily on any table, counter, or bar cart. The compact base and frame maximize the use of space, so you can store your wine glasses easily. You can also use it as a centerpiece during dinner parties. This wine glass holder has space for six wine glasses. 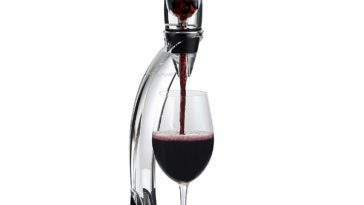 Keyhole-shaped supports make it easy to slide in the stems of each glass, and prevent it from slipping out when the rack is bumped or jostled. 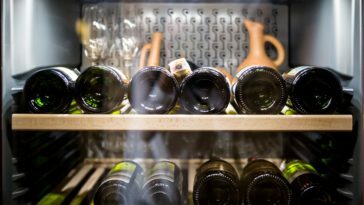 A hole in the top of the rack provides plenty of space for a single bottle of wine; the circular cutout prevents the bottle from tipping over, but makes it easy to access when it’s time to pour. Crafted from 100% natural bamboo, this wine glass holder is an ideal choice if you try to avoid chemicals, or if you value eco-conscious products. The bamboo wood in each holder was grown over a period of five years, all without using any chemicals, to reduce the strain on the environment. Even better, it’s naturally resistant to mold, mildew, and odors, so you can use it in a high-traffic kitchen or damp bar area without worrying about bacteria growth. Do you have delicate glassware? This rack is handmade by professional artisans to ensure top quality and ample support. During the production process, the rack is cold-compressed, heat-pressed, and covered with three coats of finishing polish. The result is an ultra-smooth surface that’s completely free of burrs. It’s gentle on your glasses, so you can store and remove them with peace of mind.